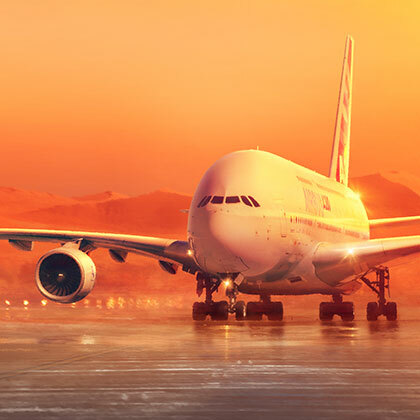 Four Engine Alliance GP7200 engines power each Airbus A380, providing the speed, power and efficiency needed to fly commercial aviation’s longest legs with ease. A380 specs – history and details of the world’s largest airliner. Ten years ago, Emirates catapulted Airbus and Engine Alliance into the global spotlight with the maiden voyage of its first GP7200-powered A380. The 14-hour flight from Dubai to New York marked the launch of Emirates’ A380 fleet – soon be the world’s largest fleet of its kind. Emirates’ massive initial order of 55 A380s meant Airbus had sudden demand for 220 GP7200 engines. Engine Alliance facilities worldwide leapt into action, racing to manufacture and assemble engines to match the hefty A380 specs. First looks at the A380 astonished citizens and thrilled airline executives. They were looking at a double-deck, wide-body, four-engine passenger aircraft that was 40 percent bigger than the next largest airliner, the Boeing 747-8, capable of transporting from 525 three-class up to 853 all-economy customers. International airports competed to adjust runways and gates to accommodate the sizable A380 specs. The connection between major airports completes a global circuit that will bear ever-increasing commercial traffic. Emirates owns by far the lion’s share of the fleet, with well over half of the A380s flying. Air France, Etihad Airways, Korean Air and Qatar Airways also equip their A380s with the GP7200. 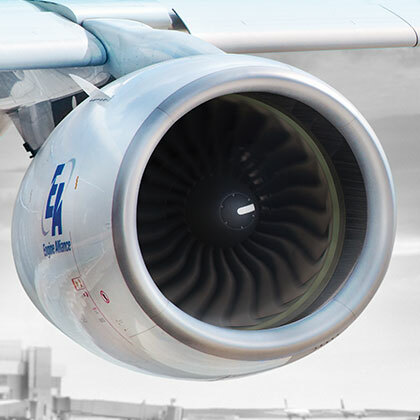 Engine Alliance – the engine manufacturer behind the A380. Before entering service on Emirates’ A380s in 2008, the GP7200 required more than a decade of engineering. Developing an engine to handle the A380’s size and complex aerodynamics demanded volumes of original research from its engine manufacturer. Power enough to lift such an aircraft was only one consideration. To be viable for airports, the A380 was going to be held to stringent noise standards, along with high maneuverability on the ground. Because the bulk of the service was centered in the Middle East, the demands on the engine to withstand unrelenting heat and the destructive forces of wind and sand were unprecedented. Fuel burn would be one of the most critical measurements of the engine’s success. Fractions of percentages of efficiency could swing millions in operating costs one way or the other. Then there was the “simple” problem of transporting an engine for assembly. As there was only one aircraft in the world large enough to carry a fully assembled GP7200 from engine manufacturer to assembly site, a cost-effective modular shipping system would have to be devised. See how Engine Alliance solved all these problems to become the leading manufacturer with the best-performing engine for the A380. A380 and GP7200 – a powerful team. The A380 features an 8,200 nautical-mile range (15,200 km), enabling it to service some of the longest routes in commercial aviation. 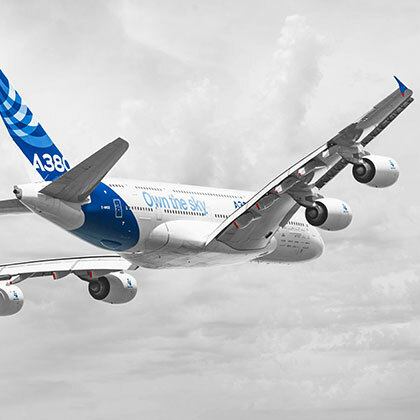 With a cruise speed of .85 Mach and a top speed of 634 mph, the A380 ranks among the top five fastest airliners. A fuel capacity of nearly 82,000 gallons, a fuel consumption rate of 10 g/nm and space for up to 853 passengers makes the A380 more fuel efficient per passenger than an average economy car.